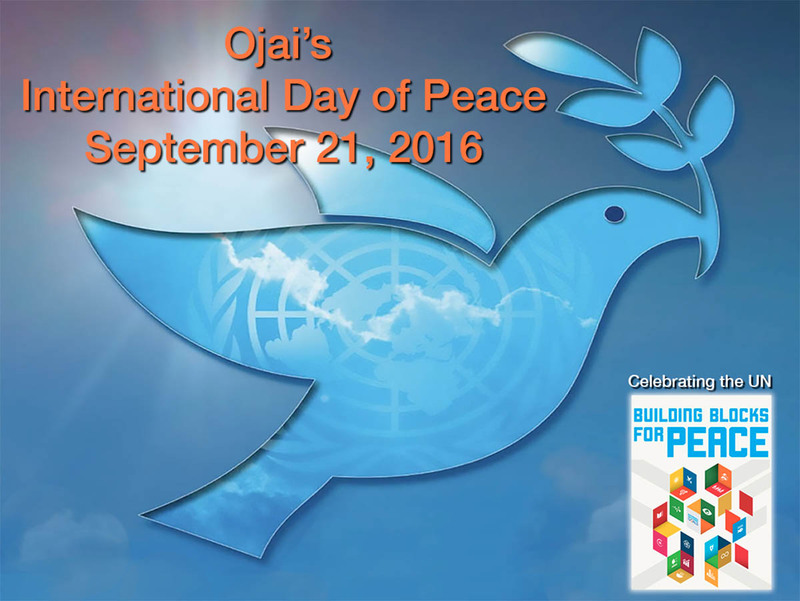 September 21st, International Day of Peace Celebration at the Gables in Ojai. 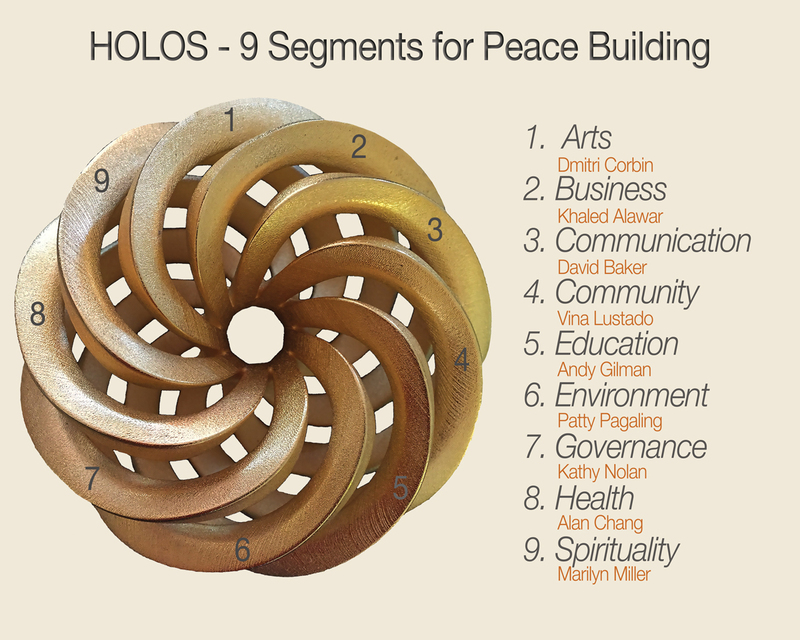 Stay in touch for information about the 9am Global Peace Meditation including a Peace Walk and viewing of Peace Poles created by the community. 9am-1pm, come to any part of the program. 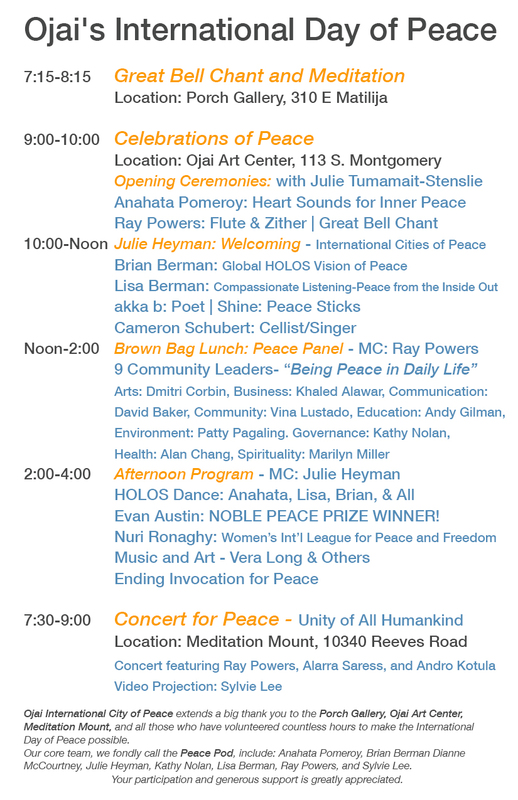 We will also have a brown bag Global Feast for Peace at noon at the Gables. So please bring something to eat, beverages and dessert will be provided by the Gables. 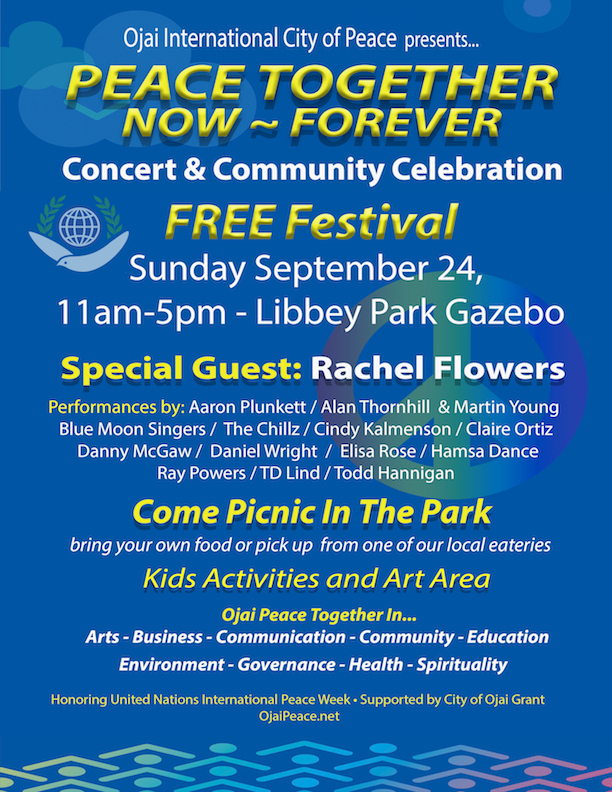 Festival will take place at the Gazebo in Libbey Park from 11-5pm. A Global Feast for Peace will also take place so bring some foods and let’s Feast together for peace.